For the third year in a row, two of Canada’s Kingston-class ships are headed toward the Gulf of Guinea for a four-month deployment to Op PROJECTION West Africa. HMC Ships Shawinigan and Kingston departed Halifax on January 22 for the trip, which will involve multinational military exercises, capacity building with partner navies in the region, and a number of community outreach activities. 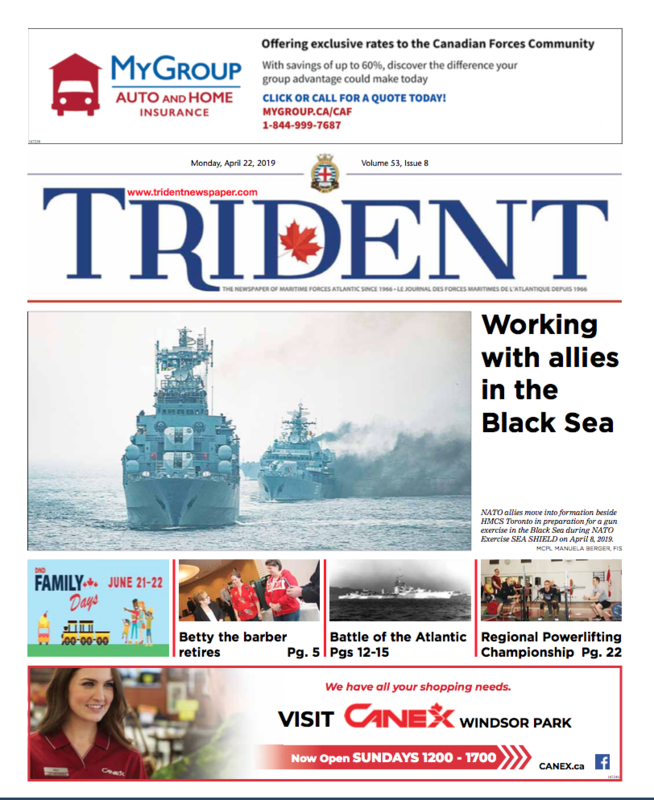 The RCN sent a pair of MCDVs to the region during the same time period in 2017 and 2018, and after two successful deployments, the key is to maintain momentum, said RAdm Craig Baines, Commander MARLANT and JTFA. RAdm Baines said Canada is now becoming recognized as a persistent partner to its allies in the region, and that deploying to West Africa annually offers a real opportunity to help out in an area where governments struggle with criminality at sea, including smuggling and illegal fishing. The previous two years have seen Canadian sailors, including members of the Naval Tactical Operations Group (NTOG), conducting exercises with counterparts from Ghana, Senegal, Côte d’Ivoire and elsewhere. Community visits have allowed RCN personnel a chance to provide real labour and electrical/engineering support to schools and orphanages, while also meeting with local youth and community leaders for discussions promoting education and diversity. It’s expected that this year’s Op PROJECTION deployment will deliver many of the same types of successes, said LCdr Terry Share, CO of Shawinigan. “The specific objectives are to conduct strategic capacity building with all of the nations in and around the Gulf of Guinea, and also to conduct cooperative deployments with those nations,” she said. 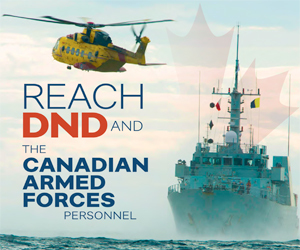 This will include Shawinigan and Kingston’s participation in Exercise OBANGAME EXPRESS 2019, the region’s largest annual military exercise, which is led by US Africa Command and typically includes more than 30 countries. Following that, the ships will take part in Exercise PHOENIX EXPRESS, another American-led initiative focusing on Northern Africa, alongside militaries from Maurtitania, Morroco, Algeria, Tunisia, Libya, and Egypt. It’s a long sail across the Atlantic, and a long deployment for the two 33-member crews, but LCdr Share has no doubt her people are ready. “Right now, I can say Shawinigan has an incredibly passionate crew. They’ve worked so hard to get us to this point, and I know I’ll be thanking them again and again for putting in that extra time,” she said, adding that the same is surely true for their counterparts in Kingston, sailing under the command of LCdr Jeremy Samson. And while members of the two crews are looking forward to the warm weather in the Gulf of Guinea, exciting exercises at sea have already begun while they’re still in the cold, with Kingston being the first MCDV to perform hoist training with the CH-148 Cyclone helicopter shortly after leaving Halifax harbour. 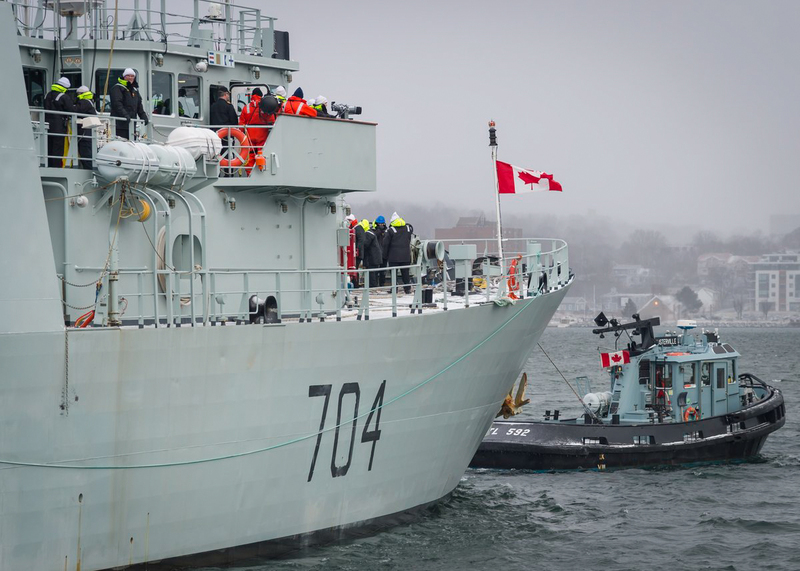 The ships are expected to return to Halifax in May, and plan to bring along exchange members of different West African navies for the trip back home.